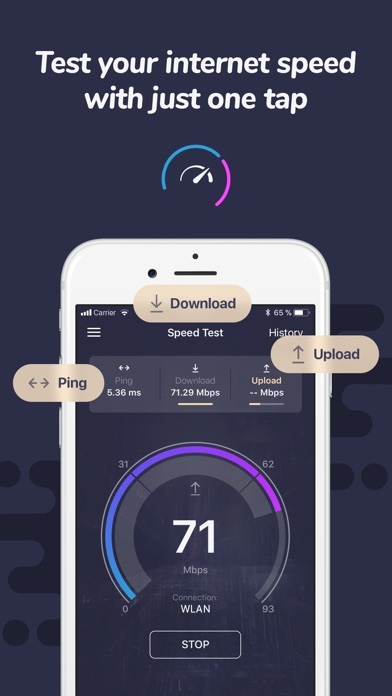 Speed test is an efficient easy-to-use app that will give you accurate results about your real download and upload speed and ping with just one tap in under 30 seconds. It is really that simple! The app keeps you well informed at all times. Wanna be truly sure whether your connection is stable or not? Ever wondered what is your current upload speed? Having troubles with slow downloading? Go ahead and test your internet connection speed real quick and get instant results. Measure the performance of your WiFi or other cell network connection with this smart utility. 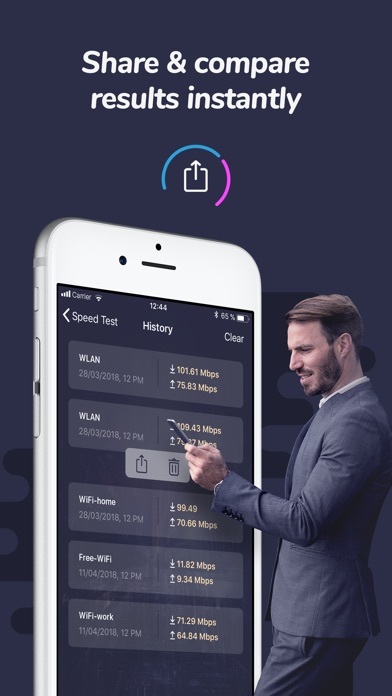 Testing your internet connection speed has never been easier! 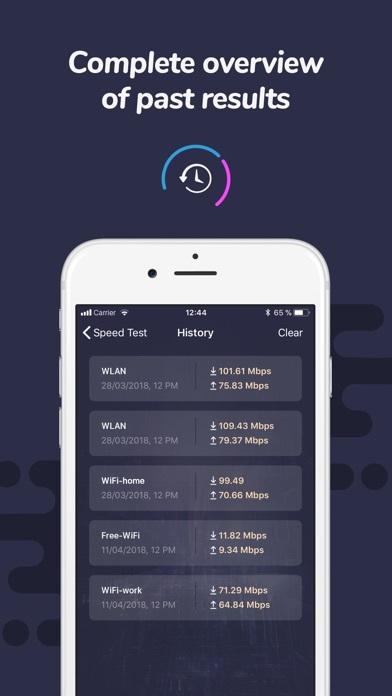 FEATURES: - Run Speed test in real time just with one tap - Discover your download, upload and ping (latency) - Works smoothly on WiFi and cellular networks (2G, 3G, 4G/LTE) - Impressive graphic design and simple, easy-to-read reporting - Track and compare all your past test results - Share your test results online If you want to remove ads from the app, subscribe and enjoy Speed Test to your full satisfaction! I have no way to know how accurate the readings are. It does give me numbers but how do you know if the number is real or made to look effective. I like using this app to tell our provider we do not have the speed we are paying for. Thank you. Love it! The fact that it shows what network you are on is essential for me at work. We manage several networks and helps to be able to identify which network your on when speed testing.